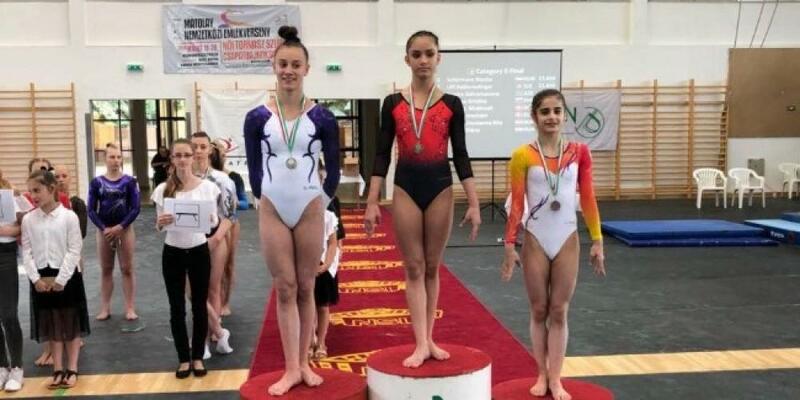 Junior Azerbaijani female gymnast Samira Gahramanova has grabbed a bronze medal at an international acrobatic gymnastics tournament held in Kiskunfelegyhaza, Hungary. She secured the medal in the vault event, scoring12,450 points. As a result, Samira Gahramanova ranks 6th among 21 participants. Notably, national gymnast will take part in qualifying tournament of Youth Olympic Games Buenos Aires 2018 at the National Gymnastics Arena on June 23. Azerbaijan’s hopes will be also pinned on Agamurad Gahramanov and Samad Mammadli.